How will Insource reduce my labor costs? We develop a custom solution that delivers a fixed cost that offers quantifiable value relative to the baseline. This process includes an assessment of your operations performed by one of our industrial engineers. We tour the facility, map the operation, perform time studies, and collect historical operating data. We then develop a total cost-of-output baseline that is pressure-tested with the company to confirm accuracy. As a result, the company often gains new insights into its own costs as well as creates a fixed-cost solution going forward. Will I lose control over the operation? Insource works for you, and with you, to achieve your objectives. Our solutions increase your control over your operation by simplifying your ability to influence its results. We are accountable to a performance scorecard that is aligned with your key performance indicators and we continually revise these targets and reprioritize our initiatives to your evolving goals and objectives. Why do you think you can do it better than we can do it? We are a dedicated service provider that specializes in the execution of labor-intensive processes. Our specialization allows us to scale our investment in industrial engineering, tools, and management across our portfolio of services and thereby extend the benefit into situations that otherwise could not afford them on a stand-alone basis. Why would I want to outsource my capabilities? We allow your team to off-load the time-consuming and distracting tasks of managing undifferentiated labor-intensive functions across your supply chain and free your team to devote their attention to enhancing the capabilities that make your company distinctive. What will happen to my existing employees? Insource welcomes the opportunity to offer your current valuable and contributing employees the chance to join our team – which we consider our greatest resource. How will Insource ensure that all government employment laws and regulations are in compliance within our facility? Insource workers are eligible to work in the United States in accordance with the regulations set forth by the Department of Homeland Security. 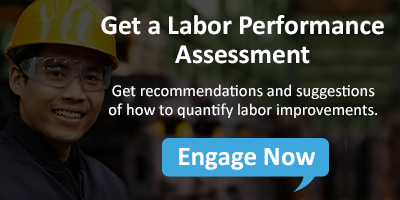 Insource manages all compliance reporting and regulations for its workers, including OSHA, EEOC, and Wage and Hour. The risk of co-employment is eliminated because Insource is a complete solution that makes all employment decisions and trains and directs its workers. What type of engineering support will I receive? Our engineering capabilities enable our performance and are an embedded component of the services we offer. You will benefit directly from our engineering capabilities throughout the initial implementation and process design in conjunction with our continuous improvement initiatives, and indirectly through our consistent and accountable performance. Insource does not sell engineering consulting services separately. How do I ensure Insource is aligned with my success? We are accountable to a performance scorecard that is aligned with your key performance indicators. We continually revise these targets as they are reprioritized with your evolving goals and objectives. If you drive productivity, how do you ensure quality doesn’t suffer? 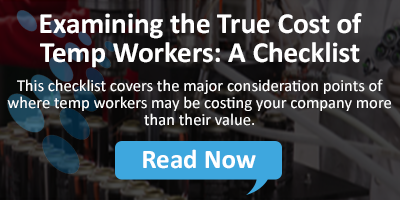 Our performance-pay systems reward workers for quality, delivery, safety, and cost. We have successfully deployed our systems to reinforce the right behaviors in quality control and general production processes. What type of year-over-year savings can I expect? The savings are dependent on operational conditions, the scale of services, and the flexibility of the processes up and downstream to Insource’s area of responsibility –but year-over-year savings typically range from 10% to 20%. In every case, savings generated from improvements first go to offset inflationary employment pressures and the remainder is shared with our clients. How much does it cost to implement your solution? The time and cost varies depending on the size and complexity of the application. However, our view is long-term, so we absorb these costs and consider it an investment in the partnership with our customers. How does Insource screen new workers? Insource will gain complete understanding of all processes that will be performed at the client location to ensure that the most qualified candidates are hired for all available positions. Criminal background checks are also conducted during the hiring process. How are Insource workers trained? On the first day of work, an Insource worker is well assimilated to their new work environment due to a customized orientation process that aligns with your current objectives. How will Insource ensure that workers comply with our safety policies and procedures? The Insource implementation team will partner with you to develop a safety program that incorporates all relevant components of your current safety program. Then, each worker will be trained on all elements of the customized safety program. How are Insource workers paid? Does Insource offer benefits to its workers? In order to attract and retain the most qualified workforce, Insource offers workers competitive wages that include incentive pay. The various benefits that all Insource workers qualify for include medical, dental, vision, holiday, and vacation pay.